Tea that ‘sparks joy’, to borrow a phrase from Marie Kondo, is about as concise a metric one can use to determine if the tea they’re drinking is really right for them. Personally speaking, the kind of tea which after a few cups assuages physical and emotional pain, however spectacular that sounds, are markers which indicate that I’m in for what would otherwise simply be hedonic pleasure if it weren’t for the ‘instruction’ that comes with really good leaf. With tea of this quality ones whole body should have a soothing ‘buzz’, your breathing will relax becoming diaphramic — perhaps the area around your eyes will feel a warming sensation, while your mind feels meditative, and ethereal. During our current time period, a time when we’re long on information and so short on wisdom, the question, ‘How does someone produce a tea like this?’, comes to mind. In a way, with respect to making traditional French Baguettes, on paper its a very simple recipe, wheat flour, water, salt and yeast… But mastering such a simple victual even proved difficult for the beloved Julia Childs. In short, if wisdom is derived from some degree of suffering in the procurement and application of knowledge, I wonder if you’d agree, that there seems to be a relationship between how much suffering and ‘singing’ through said discomfort to subvert in order to arrive at creating something which is more than just the sum of its parts. 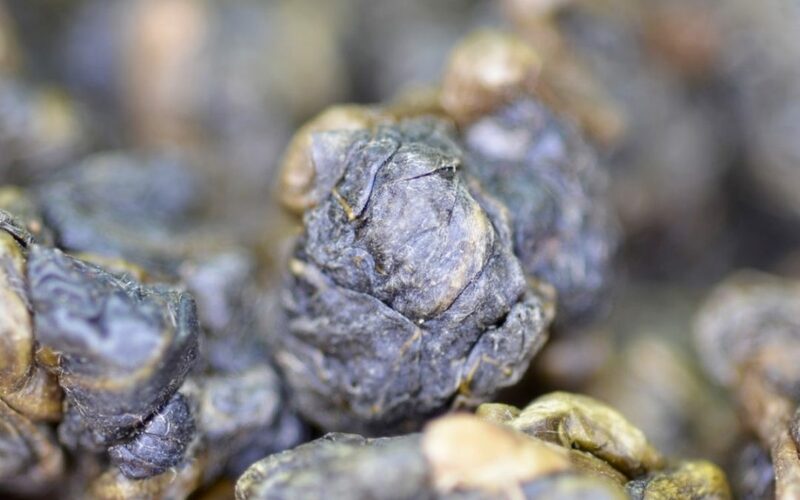 Currently, the tea that gives me the most insight into the aforementioned idea premise is a, charcoal roasted DongDing WuLong — one that I’ve offered to ‘Leaf of the East’ newsletter subscribers. Firstly, the rich mineral and malty fragrances give way to a full-bodied mouth-feel that goes down easily. Its ease of drinking is one of the early indicators that a tea is of good quality. hUnlike some charcoal roasted teas which are as young as this one (Spring 2018), or improperly fired, this one is smooth, giving way to a lasting sweetness which allows me to savor the moment further. One of the great things about a tea like this is, you can store it for years, and if stored properly, its character will deepen with age, furthering the teas intrinsic wisdom. It also pairs really well with dark chocolate.